Talk about some fan luv! 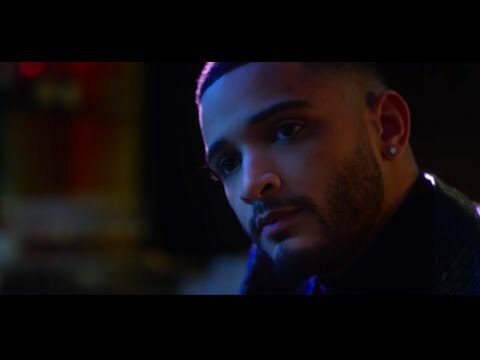 Bachata singer, Kewin Cosmos gave his fans an unexpected surprise when the Dominican heartthrob not only released his third studio single, “Solo Quise Quererte” on iTunes, but then announced via a live Facebook chat the simultaneous world premiere of the single’s music video! What an amazing sorpresa, right? Written and produced by Comsos himself, “Solo Quise Quererte” marks the third single from the young bachata artist. For those who don’t know, Kewin Cosmos became a viral sensation with the release of his debut single, “Dile” in 2014 and went on to break into the top 20 on Billboard Tropical chart with his last single, “Dejame Tenerte” earlier this year. As an independent artist, he has created a loyal fan base for himself through online buzz and viral content, breaking records with views and downloads all on his own. So he definitely does know the importance of giving those loyal fans what they want! The video was filmed in Los Angeles, California at the famous Redbury Hotel on Hollywood Blvd. Hernandez created a sensual and cinematic masterpiece, which captured the story of love torn at the seams. The video features former Miss California USA 2013, Mabelynn Capeluj as Kewin’s leading lady. But, why just read about it when you can experience it all for yourself, check out this awesome video below! But that’s not all from Kewin! Later this month he is returning to the States where he will continue working on his upcoming album due out later this year. So let’s all look forward to that!